I have tons of frozen pumpkin puree in the freezer. You see, I love buying pumpkins for holiday decorations. 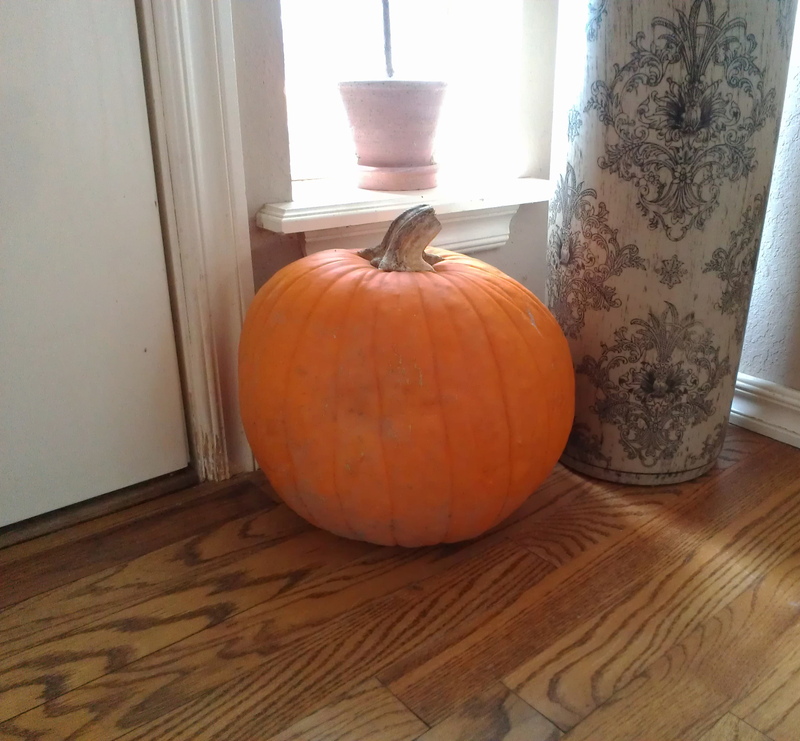 I get my money’s worth because I buy for Halloween, leave the pumpkins on the front steps for Thanksgiving, and then they finally meet their demise in a hot oven as they roast. I freeze all of the puree. Moved inside and waiting to be roasted. Roasting pumpkins is easy. Wash the outside carefully before you cut through the middle. Cut vertically from stem to the bottom. Sometimes they will simply break in half here as you start to cut. Place on a foil-lined rimmed baking sheet cut-side down and place in a 350 degree oven for about 45 minutes. You can check the doneness by pushing on the outside with your finger or using a fork to see if it is done. Remove them from the oven and let cool. When it is cool enough to handle, use an ice cream scoop or a spoon to remove the seeds and the stringy membranes. Scoop out the flesh and puree it in a food processor. Freeze in sealable or vacuum bags. I found this recipe in my beloved green Gourmet cookbook. Cook garlic in oil in a large, heavy saucepan over moderate heat, stirring frequently, until golden, about 1 minute. Add pumpkin puree, broth, water, beans, chickpeas, tomato puree, and sage. Bring to boil and then reduce to simmer. Simmer 20 minutes. Remove from heat and stir in 1/2 cup cheese and salt and pepper to taste. Serve soup sprinkled with additional cheese. The Hubs raved and raved about this soup. This is simply a great basic broth for soup: pumpkin and tomato purees, chicken stock, water, and sage. Add a little cream for a fantastic cream soup. Add some pasta and some other veggies for a type of minestrone. I actually added some kale to the leftover soup from this batch and it was delicious! The possibilities for this base are endless. Looks comforting and hearty, perfect for this time of year. That is one huge pumpkin you have pictured there! Thanks and you’re welcome, Tina. Yep, that was a big one. Got a lot of puree out of it! I wish I could still get some pumpkins at this time of year…love this simple and comforting soup. Well, I hope you make this when you can get your hands on pumpkin. Since this was based on a butternut recipe, I know that any winter squash would work. It’s cold and snowy here, so a hearty soup like this looks so appealing! What a great combo of ingredients – this looks wonderful! Thanks. I believe it may be cold and snowy everywhere today. Stay warm! Tomato soup wins my heart, especially homemade! I’m all over this. We always get the puree from our pumpkins, I still have a few bags full of it in the freezer. Always can’t wait to make something with it! I knew you would be all over this pumpkin soup! Stay cozy! I love that photo on the orange napkin. 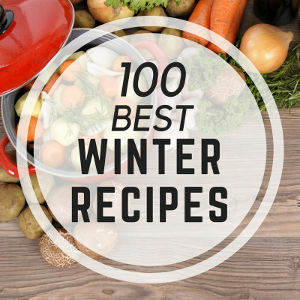 Tis the season for great soups. I have a can of pumpkin puree loitering in my cabinet. I should use it for this recipe. Thanks for stopping by my blog and the comment. Back at ya–thanks for reciprocating. I hope you try this soup. Truly, the base would make many different delicious soups! I still have one to roast as well (but it had to moved into the garage or it would have been a pumpkincicle by now). You’re welcome. Hope you try it. Let me know. We love pumpkin and I’m always looking for new ways to use it. I’ll have to use canned pumpkin for this soup and I know it will be delicious. 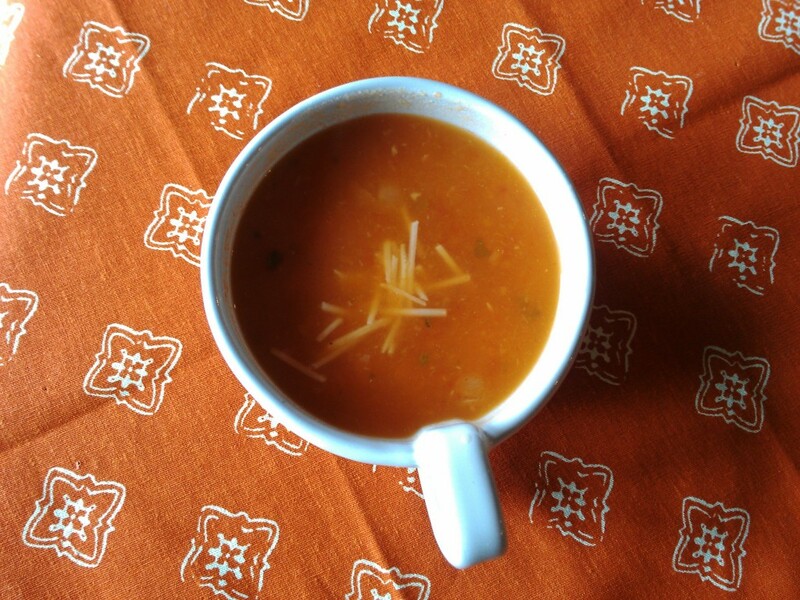 The weather is so cold and damp…soup weather for sure. You said it—it is definitely soup weather! This would be great today!! One day I’m going to get up the nerve to roast the pumpkins. but still, I have pumpkin in the can and that will work! Will it ever be warm again??? ?